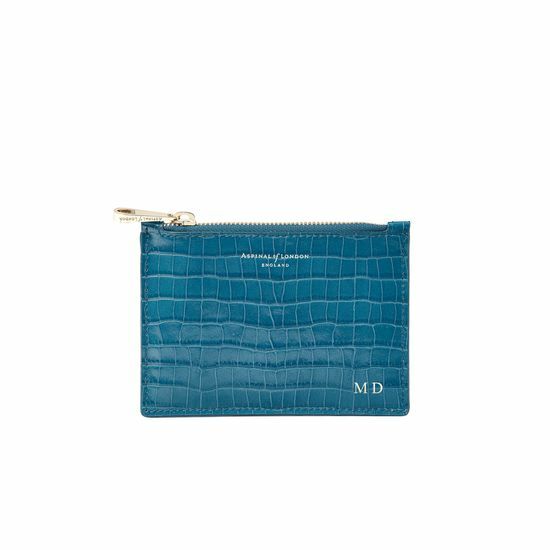 Sleek and understated, our Small Essential Flat Pouch in deep shine topaz small croc print is a slimline and sophisticated accessory. 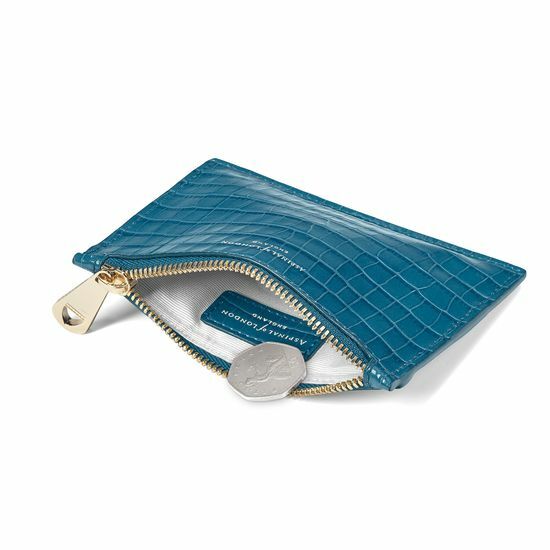 Conveniently sized, it is ideal for carrying coins and cards or to safely house your headphones and keys for stylish storage on the go. Accented with our signature branded gold-tone metal zip, the pouch is lined in shimmering grosgrain and hand-crafted from Italian calf leather for an opulent finish. Up to four initials can be added to the bottom right of the pouch to make this a thoughtful gift. 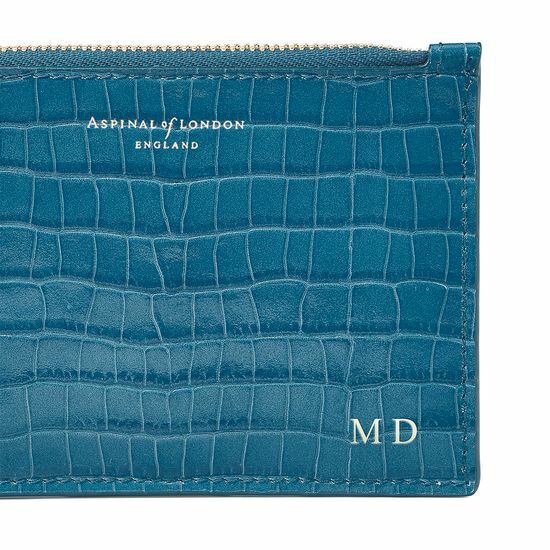 Slip it into your handbag for the ultimate on the go accessory.